With the popularity of low carb diets in recent years through diet plans such as Atkins, South Beach, Zone and several others, many people are cutting down or eliminating their sugar and starch intake. Some dieters think low carb dieting means no desserts. However, that’s the furthest thing from the truth. and has no aftertaste. Splenda can be used in cooking and baking in order to make desserts and other meals without using sugar. 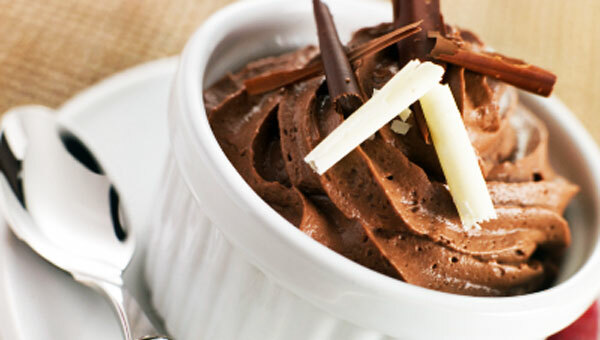 Try one of these delicious low-carb dessert recipes! Place whipping cream, Splenda, vanilla and cocoa powder in blender. Spoon mixture into parfait glasses. Top with Cool Whip and sprinkle with cocoa powder. This dessert recipe makes makes six servings with less than 1 net gram of carbs per serving — a delicious way to have a cool coffee treat without all the sugar. Brew coffee and mix with sweetener. Pour into ice cube trays. When you are ready to serve, mix Cool Whip, vanilla and brandy in a bowl. Empty the coffee ice cubes into your blender or food processor. Blend on medium speed until the coffee ice is a chunky slush. Pour into glasses and top with Cool Whip mixture. Makes 12 servings with 6 net carbs each. If you are baking for a large group, this recipe is a great choice. Beat butter, cream cheese and Splenda with electric mixer until creamy. Add eggs one at a time, mixing thoroughly after each. In a separate bowl, combine almond flour, baking powder and salt. Pour flour mixture into butter mixture slowly, while continuing to beat until well blended. Add orange juice and continue mixing. Pour mixture into a greased loaf pan. Bake for 60-70 minutes until a toothpick is inserted in the center and comes out clean. These recipes were originally written and published by Kori Ellis at therecipebook.com.